If I have to pick what my family's favorite Japanese dish, it would be this! 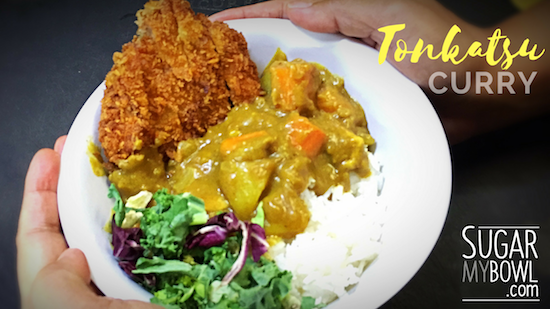 Once you've tried this recipe, Tonkatsu Curry is one of those comfort food that you will always keep making. I swear! This recipe is a 2-step process. Each recipe can stand on its own and can be eaten separately. You can eat the curry with either rice or noodle, and the Katsu can be eaten as a sandwich filling, with rice, or noodles. Make sure to watch the quick video below to help you along with your dish. 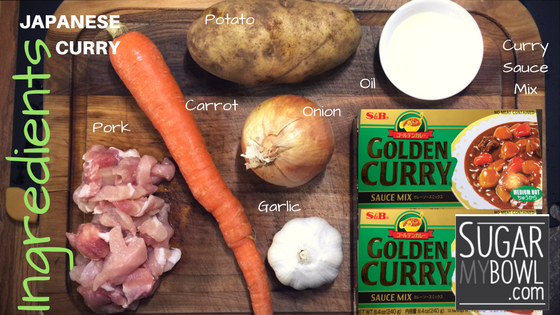 This traditional Japanese curry is a popular dish often served over white rice or noodle. 1) Heat up cooking Cooking Oil, and sauté pork and then onions. 2) Add potatoes, carrots, and water. Let it boil. 3) Add Golden Curry paste mix. Stir and sauce will slowly thicken. Simmer for 2 minutes. 4) Mix in minced Garlic. Tonkatsu is also popular as a sandwich filling (katsu sando) or served on Japanese curry (katsu karē). Tonkatsu is sometimes served with egg on a big bowl of rice as katsudon. 1) Heat up Oil 2) Salt and pepper pork on both sides. 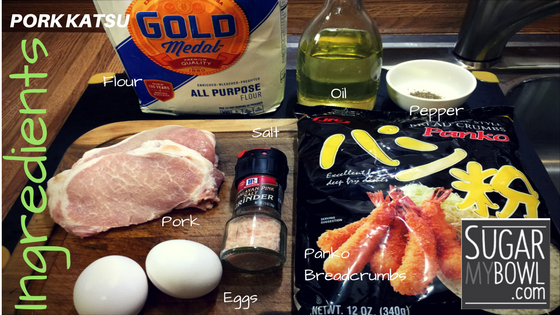 3 Consecutively coat each Pork Cutlet with Flour, Eggs, and Panko Breadcrumbs. 4) Fry in hot oil for about 5 minutes or until pork is golden and cooked. Cut your cooked Pork Cutlet in strips and place on top of white rice, then top it with the delicious Curry Sauce. Enjoy!